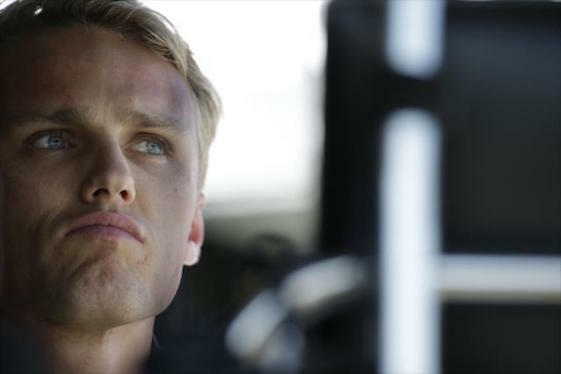 Max Chilton will be back in the No. 8 Chip Ganassi Racing Indycar car in 2017. The Americanization of Max Chilton will continue at Chip Ganassi Racing in 2017, with the Brit set to contest the full Verizon IndyCar Series schedule in the No. 8 Honda with primary sponsorship from Arthur J. Gallagher & Co.
Chilton joined CGR in February 2016 after competing in Indy Lights in 2015. A 25-year-old native of Reigate, England, Chilton made 35 starts for the Marussia Formula 1 Team in 2013-14. In his rookie INDYCAR season in 2016, Chilton scored two top-10 finishes in 16 events with a season-best result of seventh on the 1-mile Phoenix International Raceway. Despite a varied racing resume, Chilton acknowledged his learning curve Stateside has been steep. “Last year was probably one of my biggest years in motorsport,” said Chilton, who has competed in the 24 Hours of Le Mans, the GP2 Series and British Formula 3 Championship. “Even though the speeds are similar to F1 and the cars aren’t hugely different, it’s the American way of racing. The racetracks were all very new to me, the street circuits incredibly bumpy and tight, the oval racing is incredibly fast and close. 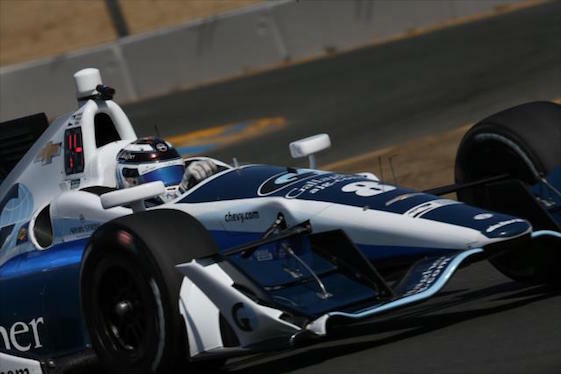 Max Chilton will attempt to step up his game in the 2017 IndyCar Series. champion Tony Kanaan and Charlie Kimball. Chilton also will again look to retired four-time series champion Dario Franchitti for at-the-track coaching. “With my teammates _ even Charlie, the least experienced _ he’s got six years. You can really see that makes a difference,” said Chilton, the fourth British driver in the last 25 years to have driven fulltime in F1 prior to joining the IndyCar Series in the same capacity. “Then you have Tony and Scott. I think they’re going into their 15th or 16th year of IndyCar. It just pays so well to have that experience in your team. Chilton said he was especially pleased to be paired with engineer Brandon Fry. 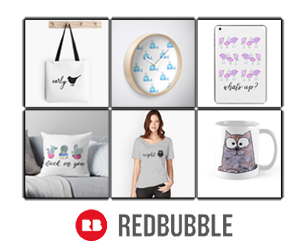 “Yeah, it’s hugely important to have that continuity,” Chilton said. “I know from my experience of being in single-seaters now for over a decade, it really does help. To at least have the same team engineer; the engineer is the one you work most closely with, so it’s nice if you get on with him to keep that relationship going and ideally try to keep the crew the same. Sometimes you have to tweak it here and there. It’s hugely important. Ganassi’s four teams will compete with the Honda engine/aero-kit package this season after exiting the Chevrolet camp at the end of the 2016 campaign. “It doesn’t take a huge amount of looking to know what the differences are with the packages,” Chilton said. “It’s not a huge deal. I think it’s more the way the manufacturers approach it. I think Honda very much go out there and do everything for the win regardless of what the circumstances may be, blowing engines, sort of having issues. They’re very much the racing side. “Chevrolet, they are more the consistent side, but sometimes maybe not giving it everything. I think we’ve got more chances of succeeding as a team with Honda, which obviously the team agreed with that. They’re the ones that made the decision. Arthur J. Gallagher & Co. is an international insurance brokerage and risk management services firm headquartered in Itasca, Ill. Gallagher has operations in 33 countries and offers client services in more than 150 countries worldwide through a network of correspondent brokers and consultants. Open-wheel veteran Oriol Servia will return to Rahal Letterman Lanigan (RLL) Racing for the 2017 Indianapolis 500, with hopes of adding more races during the 2017 Verizon IndyCar Series season. Servia competed for RLL in the Indy 500 in 2009, the Indy 500 and three other races in 2014, the Indy 500 in 2015 and now is set for the 101th running of the Indy 500 on May 28, 2017. RLL is co-owned by 1986 Indy 500 champion Bobby Rahal, Mi-Jack co-owner Mike Lanigan and former CBS talk show host David Letterman. “I couldn’t be more excited to be back with Bobby, Mike and my second father, Mr. Letterman, for the 2017 Indy 500,” Servia said in a statement from the team’s headquarters in Brownsburg, Ind. “We’ve done it before and had some success, but both the team and myself are only doing this because we feel we can contend for the win together. Since Day 1 in 2009, working with Graham (Rahal) as a teammate has been great and now at Rahal Letterman Lanigan Racing, it just feels like a family. The 2017 Indy 500 will be Servia’s ninth overall and fourth with RLL. His best finish was fourth in 2012 with Dreyer & Reinbold Racing, and best start was third in 2011 with Newman/Haas Racing. A native of Pals, Spain, Servia has made 195 starts in CART, Champ Car and the IndyCar Series since his rookie season in 2000. His Indy car highlights include one win (Montreal 2005) and one pole (Surfers Paradise, Australia 2005) as well as a total of 19 top-three, 51 top-five and 101 top-10 finishes. Engineer Tom German has joined RLL as a consultant in a multi-year deal. German has participated in three Indy car championships and one in the NASCAR Xfinity Series while with Penske Racing. German’s resume also features five Indy 500 wins, including as consultant/race engineer at Andretti Autosport for Alexander Rossi’s 2016 Indy 500 and Rookie of the Year-winning program. German will be teamed with Eddie Jones, Martin Pare, Mike Talbott and Alex Farina. German earned a master’s degree from The MIT Sloan School of Management and a Bachelor of Science degree in Mechanical Engineering from The University of Akron. He started his professional racing career at Bridgestone/Firestone in June 1992. Rainguard Water Sealers, a rapidly growing private water sealant and graffiti protection coating company, has signed a three-year agreement with Texas Motor Speedway to become entitlement sponsor of the annual Verizon IndyCar Series night race in June. The deal for “America’s Original Nighttime IndyCar Race,” will begin with the 2017 event scheduled for Saturday, June 10, at the 1.5-mile quadoval in Fort Worth. The race will be rebranded the Rainguard Water Sealers 600, the ninth event on the series’ current 17-race schedule. The agreement is the first entitlement sponsorship for the company founded in 1969 and based in Newport Beach, Calif. Specific financial terms of the agreement were not disclosed. Rainguard specializes in premium sealers, interior and exterior sealers, water protection and exterior stains for a diverse assortment of surfaces sold through major distributors. Reigning Indy Lights Series champion Ed Jones has joined Dale Coyne Racing as driver of its No. 18 entry in the Verizon IndyCar Series. Driving for Carlin Racing in 2016, Jones won the Indy Lights championship on the strength of eight podium finishes, including two wins. He also recorded eight poles, more than any other series driver. An Emirati driver of English descent, Jones moved to the United States in 2015 to compete in Indy Lights. Jones qualified on-pole for his debut race and went on to win the first three events en route to finishing third in the standings for Carlin Racing. “I’m hugely excited about stepping-up to the Verizon IndyCar Series next year with Dale Coyne Racing,” said Jones, 21. “To reach an agreement as early as we have done is great news as it gives me plenty of time to settle into the team and get to know everybody properly so we can prepare as well as possible for the season ahead. “IndyCar has been my goal ever since I left Europe to come and race in America, and it’s crazy to think I’ll be joining the grid just two years after moving Stateside. Together with my management team and sponsors, I’ve worked so hard for this opportunity and I fully intend to grab it by the scruff of the neck and make the most of it. Although we spoke to a few teams, Dale Coyne Racing always stood out as the best option and Dale worked hard to make the deal happen. Rookie Conor Daly drove the No. 18 Honda last season. Daly since has signed with A.J. Foyt Racing. Jones will be paired with race-winning engineer Michael Cannon and will have Coyne as his race-day strategist. “Ed had a couple of remarkable seasons in Indy Lights and we’re very excited to have him join our team for his rookie IndyCar campaign,” Coyne said. “I attended the season-finale at Laguna Seca and Ed demonstrated a lot of poise, maturity and determination while under pressure, knowing that the championship was on the line. Those are all qualities that will serve him well in IndyCar. I was very impressed with what I saw.